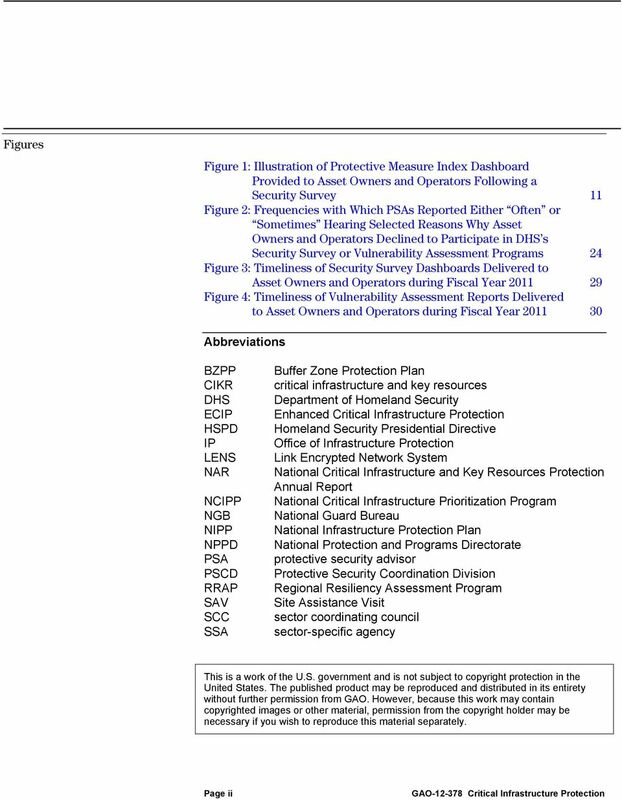 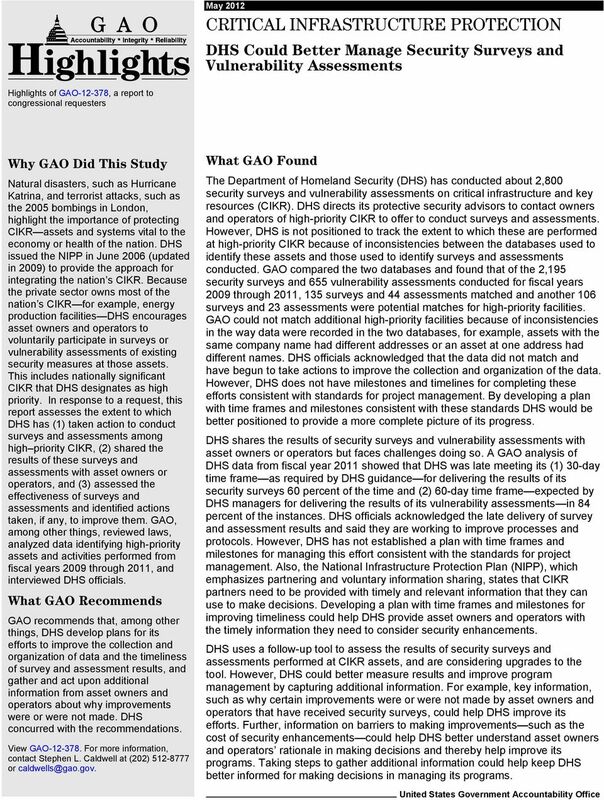 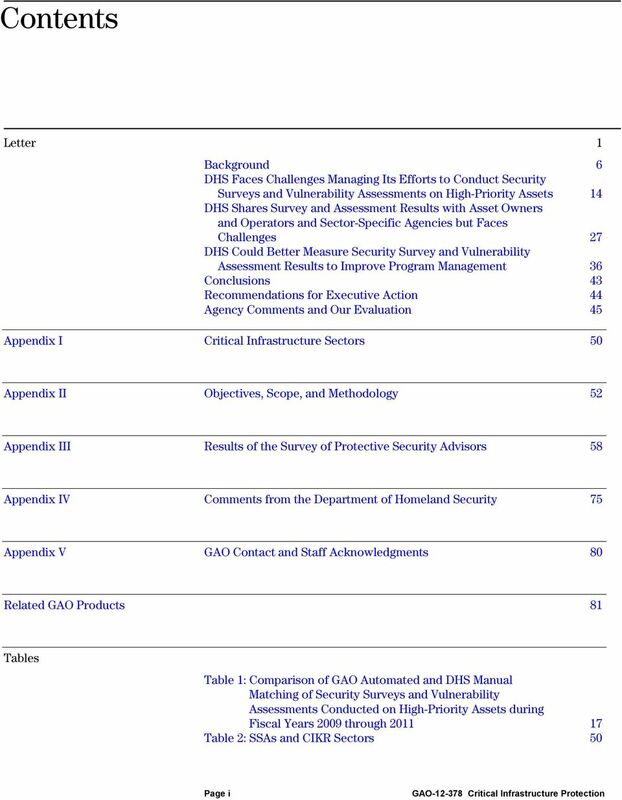 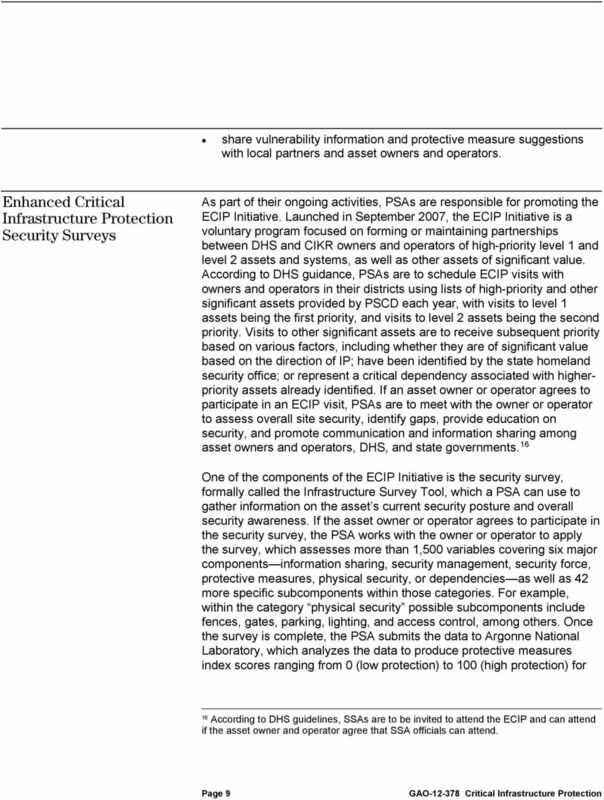 Download "GAO CRITICAL INFRASTRUCTURE PROTECTION. 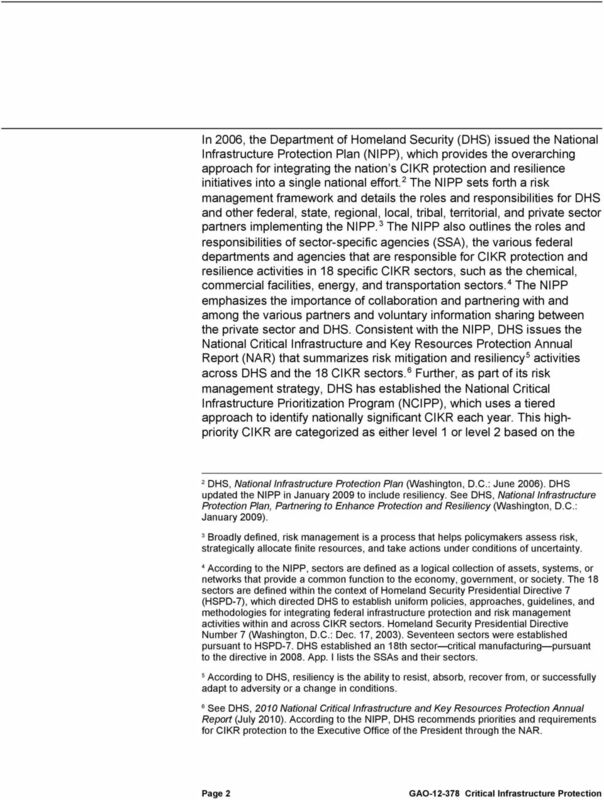 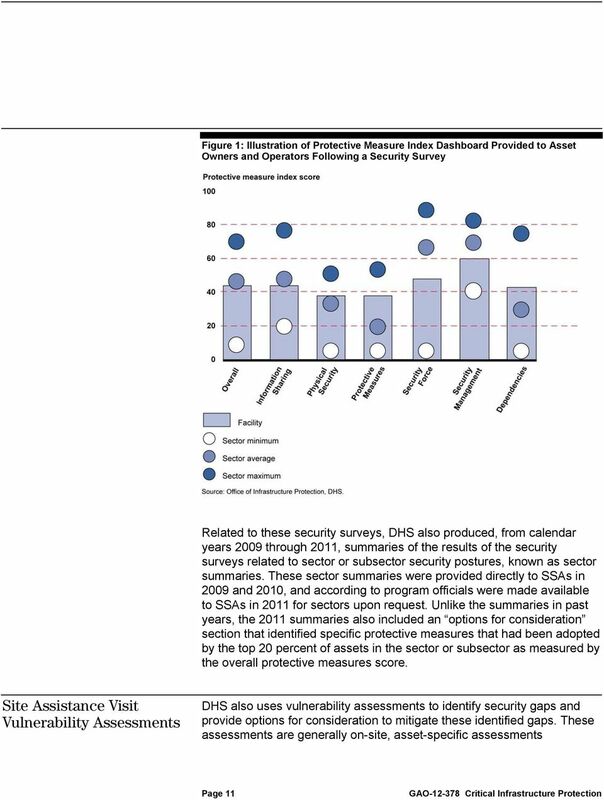 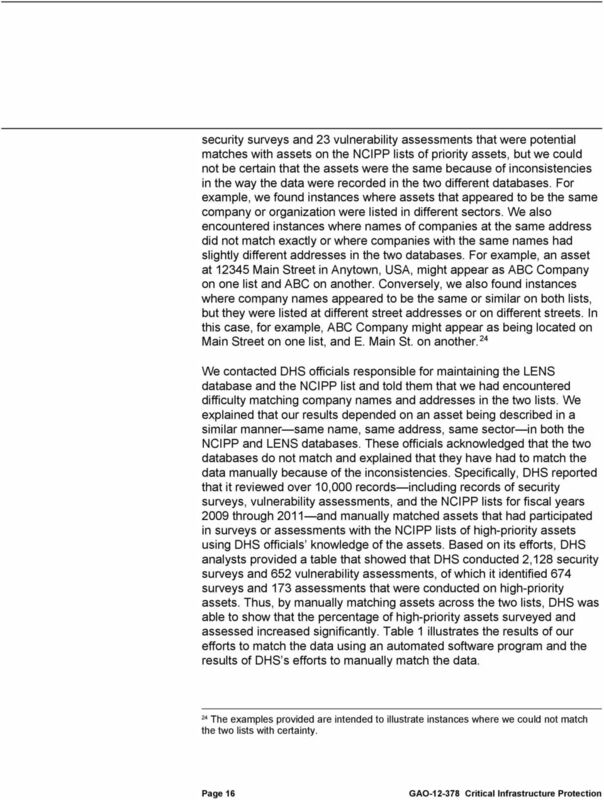 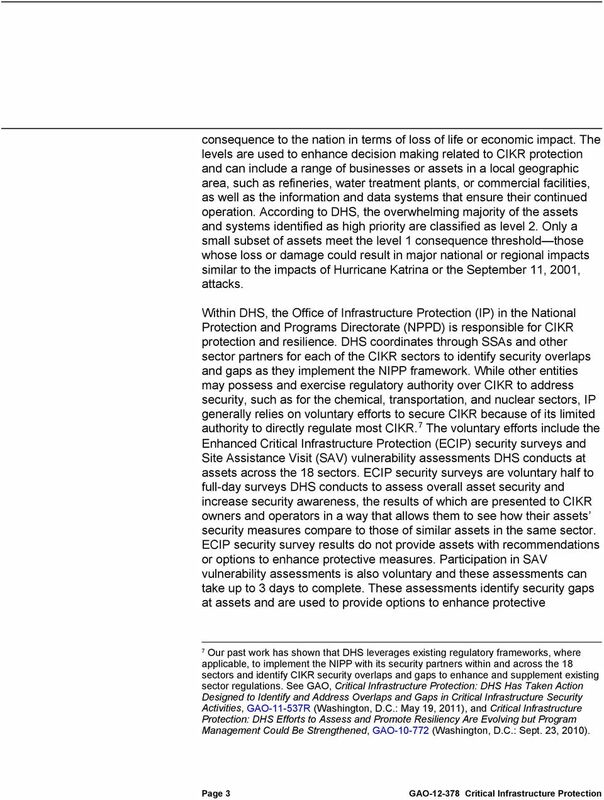 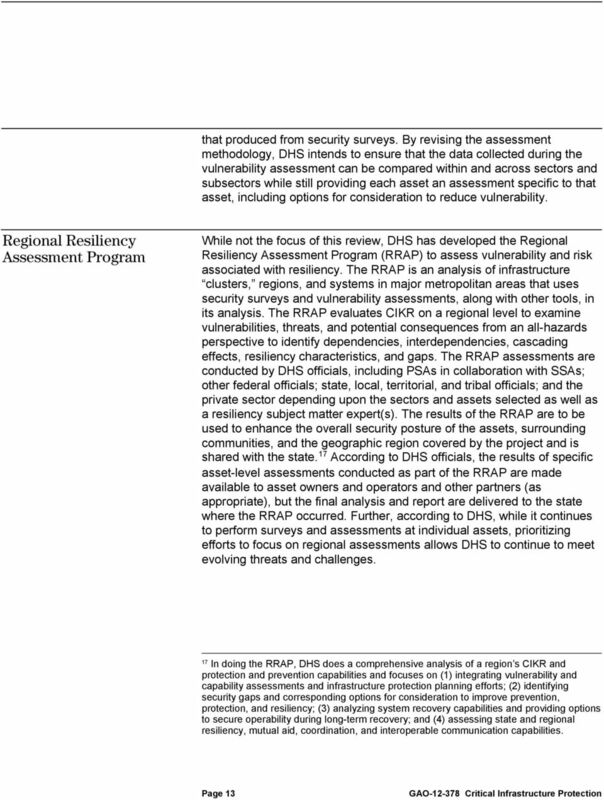 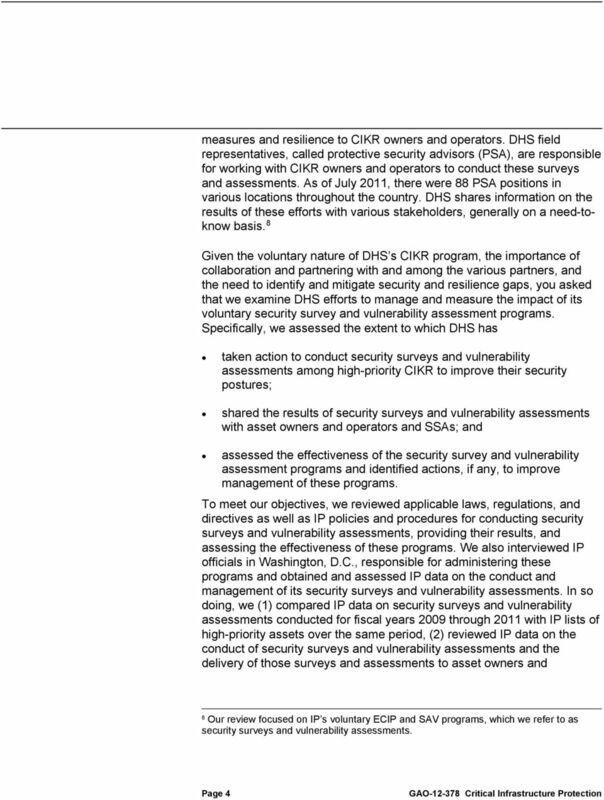 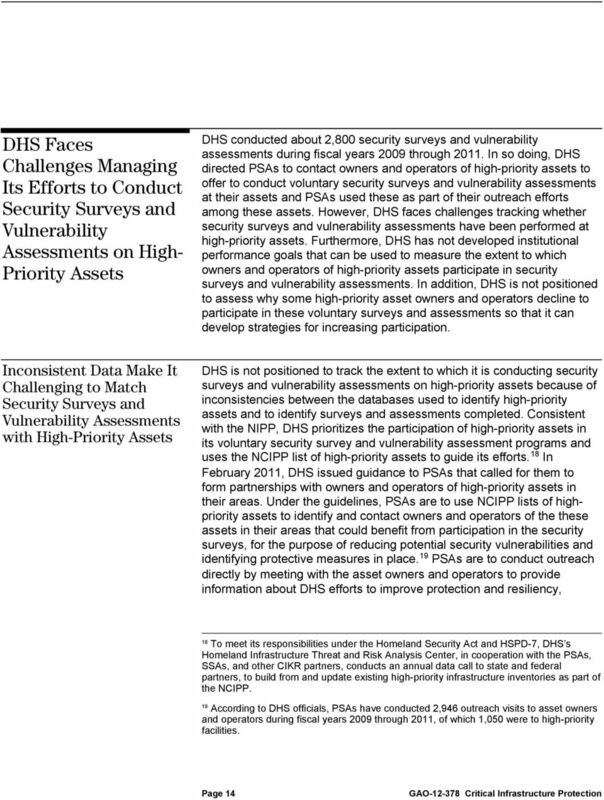 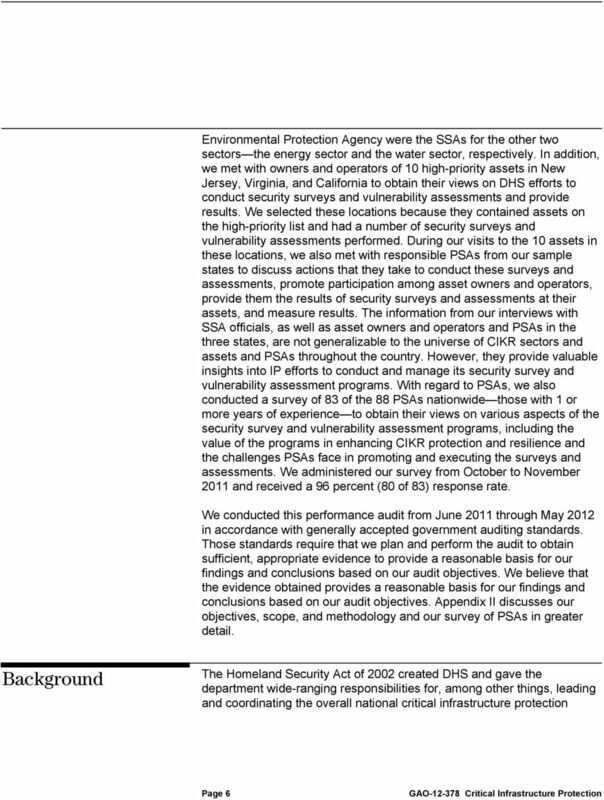 DHS Could Better Manage Security Surveys and Vulnerability Assessments. 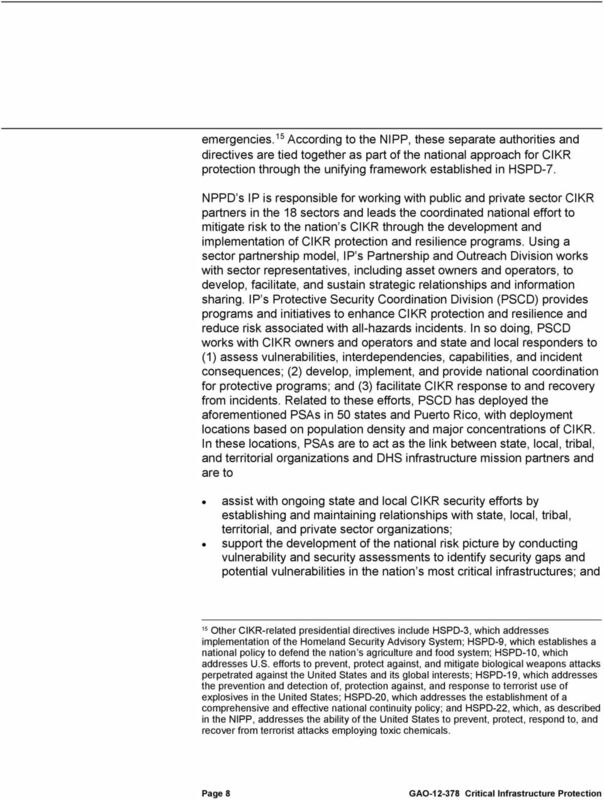 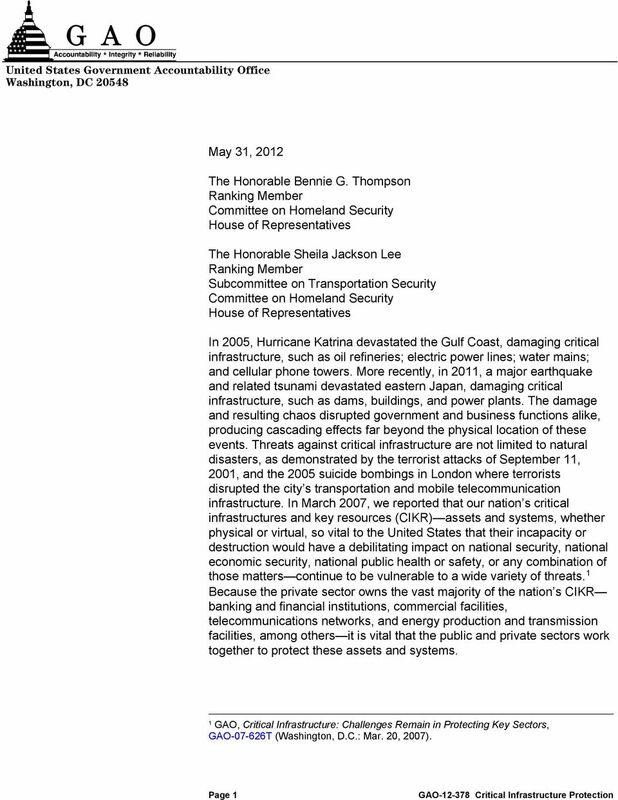 Report to Congressional Requesters"
September 16, 2008. 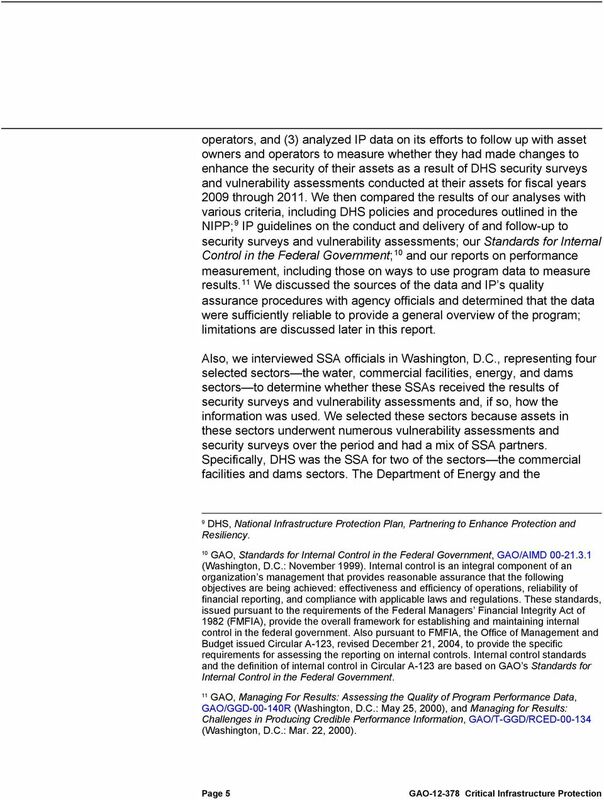 United States Government Accountability Office Washington, DC 20548. 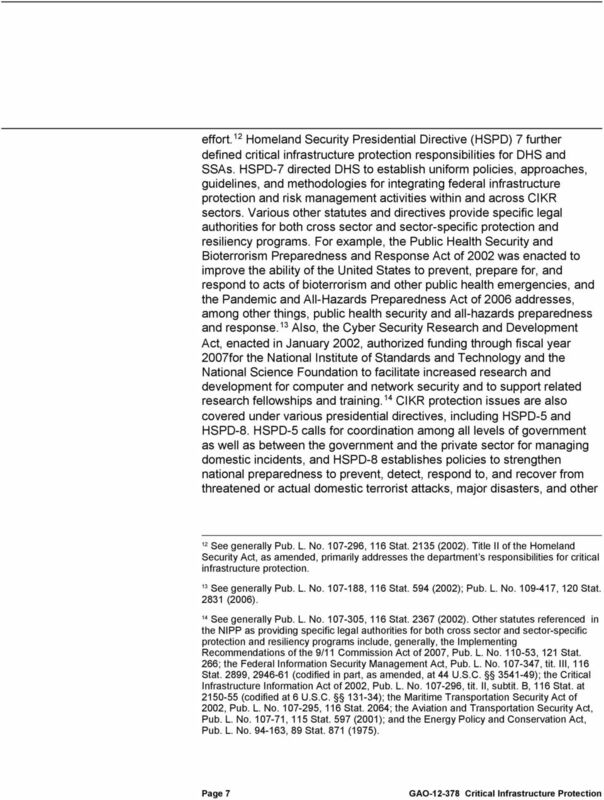 See, for example, Homeland Security Presidential Directive 7.